A very fun experience. Grest views from our window seat and directly from the cockpit with the pilots!! 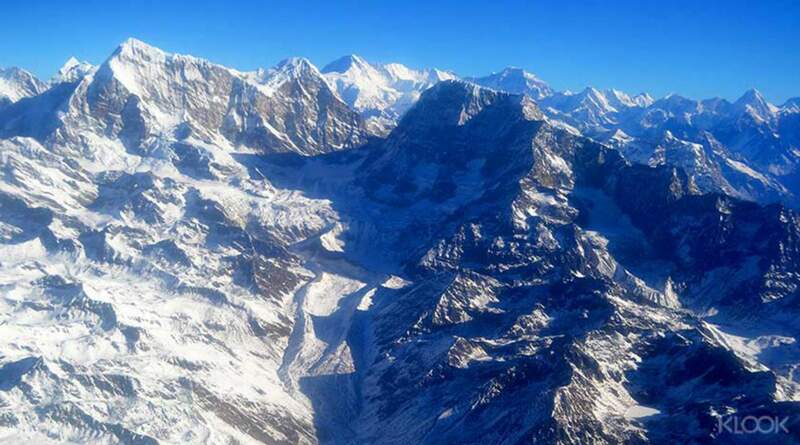 Soar across magnificent snowcapped peaks in the Himalayas with this flight trip around Everest. It's perfect for the majority of us who'll never make the arduous climb to the summit. 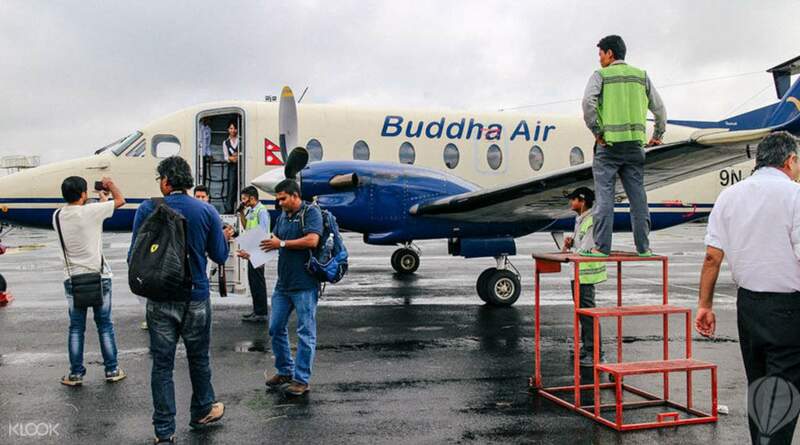 The flight – aboard Buddha Air, Yeti Air or Simrik Air – covers the incredible mountain ranges, glaciers and gorges of the Himalayan region, so you can expect to spend an hour in awe over these striking sights. See the top Everest, the world's highest mountain, and spot as many as 16 neighboring peaks on your airborne adventure: Kangchenjunga, third in the world; Lhotse, following at fourth; Makalu, the Annapurnas, and many more. It feels like the edge of the world as you go so high, you see the curvature of the planet! This is one of a must activity to do in your life. You will be stunning by the close-up view of Himalayan range. Pick-up service is on time. We took our flight with Simrik airlines, pilots and crew are very friendly. Every passengers will be invited to the cockpit and the captain will grab your phone and take lot photos for you. Oh you will get a certificate after the flight of this experience!!! This is one of a must activity to do in your life. You will be stunning by the close-up view of Himalayan range. Pick-up service is on time. We took our flight with Simrik airlines, pilots and crew are very friendly. Every passengers will be invited to the cockpit and the captain will grab your phone and take lot photos for you. Oh you will get a certificate after the flight of this experience!!! A once in a life time experience. Recommended to try of you have time. A once in a life time experience. Recommended to try of you have time. I absolutely loved this tour. You just have to see it with your own eyes. Great service by the crew too! All seats are reserved and every passenger has a window. I would recommend rows 9-13 (rear of the aircraft) for an unobstructed view. The forward aisles will have an engine and / or propeller at the top your window. I was forward and it was still fantastic but if I would recommend the aft aisles. I absolutely loved this tour. You just have to see it with your own eyes. Great service by the crew too! All seats are reserved and every passenger has a window. I would recommend rows 9-13 (rear of the aircraft) for an unobstructed view. The forward aisles will have an engine and / or propeller at the top your window. I was forward and it was still fantastic but if I would recommend the aft aisles. About one hour flight early in the morning. We flew along the Himalaya and got a great wiev over the mountains. To see the Mount Everest like this is a memory for life. Nice little propeller plane with only 16 passengers. The air hostess informed nice about the mountains. About one hour flight early in the morning. 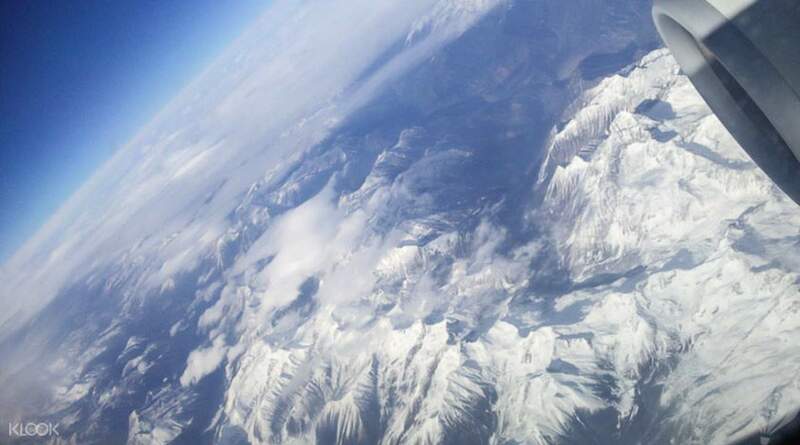 We flew along the Himalaya and got a great wiev over the mountains. To see the Mount Everest like this is a memory for life. Nice little propeller plane with only 16 passengers. The air hostess informed nice about the mountains. There are couple of airlines operating mountain flights. Flight time is about 50 minutes. Each passenger is guaranteed of a window seat. 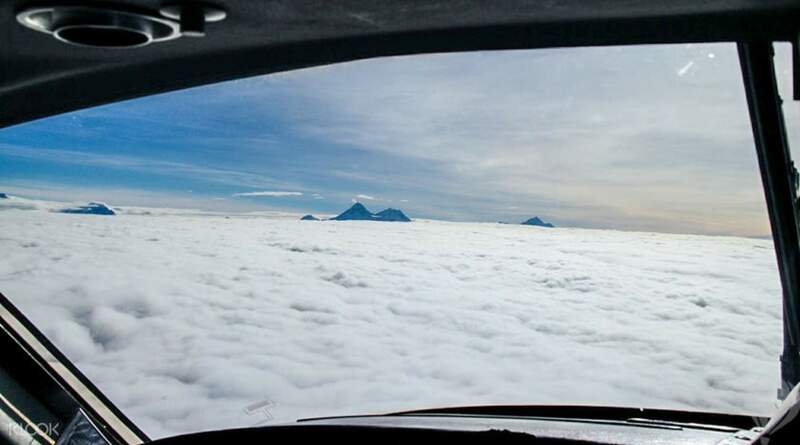 After about twenty minutes in to the flight each passenger is invited to the Pilot's cabin to view the Mountain range from the cockpit.It was a once in a life time experience. There are couple of airlines operating mountain flights. Flight time is about 50 minutes. Each passenger is guaranteed of a window seat. 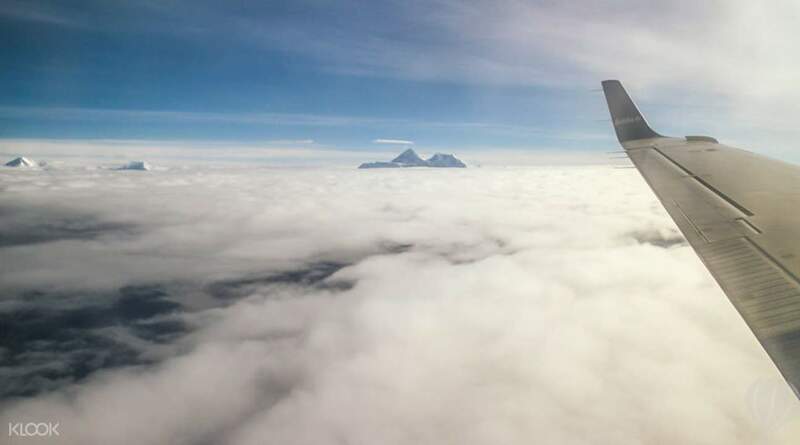 After about twenty minutes in to the flight each passenger is invited to the Pilot's cabin to view the Mountain range from the cockpit.It was a once in a life time experience. i have some missunderstanding with your travel representative, but after that i realize it was my mistake, im sorry. Overally, your travel representative was nice. Thank you. i have some missunderstanding with your travel representative, but after that i realize it was my mistake, im sorry. Overally, your travel representative was nice. Thank you. A very fun experience. Grest views from our window seat and directly from the cockpit with the pilots!! A very fun experience. Grest views from our window seat and directly from the cockpit with the pilots!! the view was breathtaking but the airline that in the package seems old because all windows are very blur, not clear. if the airline can maintain their window glass to be clear as new. the experience I had would be much better. the airline is Simrik airlines. the view was breathtaking but the airline that in the package seems old because all windows are very blur, not clear. if the airline can maintain their window glass to be clear as new. the experience I had would be much better. the airline is Simrik airlines. The Mountain flight experience was stunning. However, I would like to mention that I have been using Klook since many years and the price that you charge mostly has been reasonable. But in this booking for Mountain flight, I could have booked the same flight for half the price per person, I think it was not fair to charge 2 times the price for Mountain flight. I have always trusted Klook , but in this experience I have been charged twice. The Mountain flight experience was stunning. However, I would like to mention that I have been using Klook since many years and the price that you charge mostly has been reasonable. But in this booking for Mountain flight, I could have booked the same flight for half the price per person, I think it was not fair to charge 2 times the price for Mountain flight. I have always trusted Klook , but in this experience I have been charged twice.